For several weeks, my little one has been walking around the house practicing the songs for her pre-school program. The theme this year was patriotic songs. In my wildest dreams, I never would have imagined that she would be singing these songs two days after the announcement of the killing of Osama Bin Laden. Truth be told, I never thought that we would find him, so the announcement that Navy SEAL Team 6 had finally killed Bin Laden made last night’s performance that much more meaningful. Each of the three-year old classes sang two songs on their own, followed by the four-year old classes doing the same. You couldn’t help but marvel at how cute they were as they acted out the songs. Everyone in the audience was smiling…until the final two songs. Once my little one’s class finished their two songs, they were joined on stage by every other class to perform “God Bless America” and “God Bless the U.S.A.” Seeing and hearing all of these innocent children singing (especially in light of the Bin Laden news) created a very emotional atmosphere in the room. If tomorrow all I had was gone…all I hoped to see. And I had to start again…with just my friends and family. I’d thank my lucky stars…to be living here today. ‘Cause the flag still stands for freedom…and they can’t take that away. I’m proud to be an American…where at least I know I’m free. And I won’t forget the men who died…who gave that right to me. And I gladly stand up next to you…and defend her still today. I’m not ashamed to admit that it choked me up every time that she sang the song in the house or in the car. In light of this week’s news, I wasn’t the only one with tears in my eyes watching these beautiful children singing such a poignant song. Of course, they have no idea how meaningful it was to the adults, and that is part of the beauty of being so innocent. On 9/11/01 our nation was robbed of its innocence, and it is not likely to return anytime in the foreseeable future. Even though no major terrorist attacks have been committed on U.S. soil since that day, the threat of another attack is always looming. The death of Bin Laden gave Americans justice but did nothing to bring back the innocence to our nation. The way that these kids sang their hearts out last night made every parent in the audience beam with pride. It is a moment that I would like to freeze in time because I know that it won’t be long before my little one starts to realize that the world can be an evil place. And though they may look at our generation’s childhood as boring because we lived without the things that they are accustomed to, the sad fact is that they have missed out on growing up at a time when children were sheltered from evil. In today’s economic times, it isn’t always easy to appreciate what being an American means. This week has renewed my appreciation. 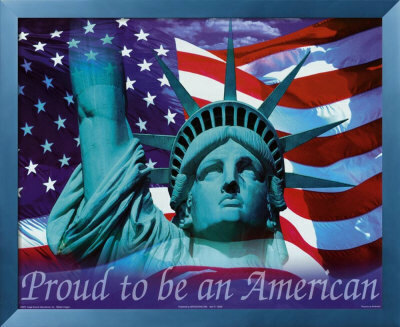 And though I may not say it often enough, in my heart, I always have been and always will be…proud to be an American! That was a beautiful post, I heartily concur!